The commodification and co-optation of stories—of individuals and communities—is something I have been thinking about lately at both a personal and professional level. Personal, as I reflect on the various critiques of my medical memoir, Catching Homelessness: A Nurse’s Story of Falling Through the Safety Net (Berkeley: She Writes Press, 2016). And professional, as I walk through the medical center where I work and notice the larger-than-life patient testimonials (read: advertisements) for the medical care they have received—and read the various gut-wrenching personal stories of people who will be adversely affected by the current Republican-led efforts to “reform” our healthcare system. See also my previous blog post “The Commodification and Co-optation of Patient Narratives” from February 11, 2011. Re-reading this blog post, I remembered that it was deemed too controversial and critical by a university librarian to include on our narrative medicine university-sponsored blog site (now inactive—the library blog, not the librarian). A few weeks ago I was asked to participate in a University of Washington Health Sciences fall kick-off event focusing on homelessness and health. This is, of course, where I work, and I was being asked specifically because they chose my medical memoir, Catching Homelessness, as the Health Sciences Common Book for Academic Year 2016/17. That is both an honor and a responsibility that I take seriously. So when they asked me to do a reading from my book for the event, I agreed. Then, the event organizer asked me to read a section of my book specific to the lived experience of homelessness. I decided to read a few passages from the pivotal chapter titled “Catching Homelessness,” about the time I had spiraled into a deep, dark depression that almost took my life. “Okay, sure, I can do this,” I thought to myself as I prepared for the talk. 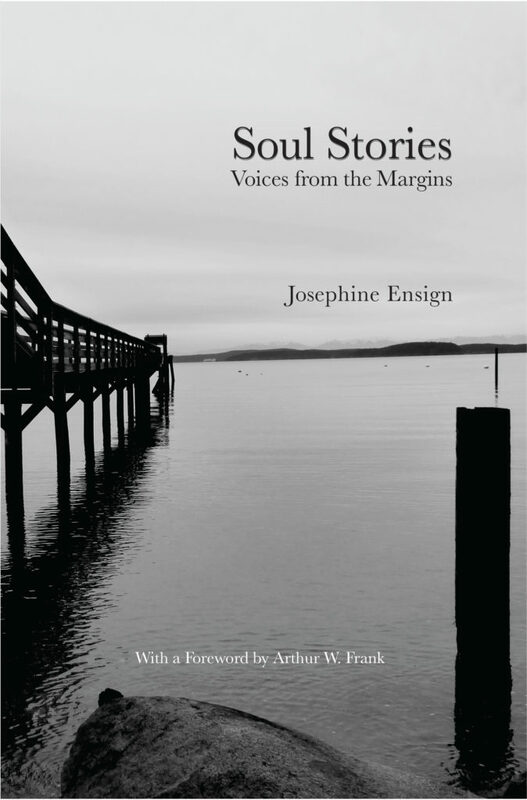 It is one thing to write about some of one’s rawest, excruciating, and stigmatizing life events. It’s another thing to share that writing in a book that is published and read by people, including by many of my students and colleagues. But—as I discovered—it is altogether a thing in a different league to read passages about those events out loud in a crowded university auditorium. It felt unkind to myself and unethical when I reflected on it later. Even though I tried to give my reading some semblance of a context, it ended up just feeling as if I had done a flashing freak show. Lesson learned: trust my instincts and my professional training as a writer and not be persuaded to read anything that emotionally raw. World Storytelling Day 2015 logo. Design by Mats Rehnman. Once upon a time…Happy World Storytelling Day. Happy first day of Spring for those north of the equator and happy first day of Autumn for those south of the equator. The theme of this year’s World Storytelling Day: A Global Celebration of Storytelling is wishes. 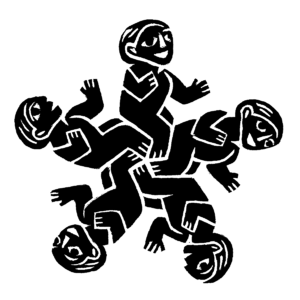 The fun logo (shown here) for this year’s events is by the Swedish professional storyteller Mats Rehnman. What a fun job title to have! But on to this year’s World Storytelling Day theme of wishes. Wishes, as in the fairytale line “I’ll grant you three wishes”? Or wishes as in the Five Wishes healthcare end-of-life (end of the story) advance directives advocated by the U.S.-based group Aging With Dignity? The line ‘if wishes were horses’ kept coming to me this morning as I fished for wishes–for the meaning of wishes–for stories about wishes–in my head (pre-coffee). The saying or maxim “If wishes were horses, beggars would ride” seems to be of Scottish derivation, first recorded in the 17th Century. It was–and is–an admonishment for hard work instead of ‘useless’ daydreaming/wishful thinking. It was used as a heading in copybooks for British schoolchildren to practice their penmanship with by ‘writing this out 100 times’ or whatever their schoolteachers had them do. Tell a story (not a lie) today to a child or someone ill or dying or to a random person in your life who needs to hear a good story. Or to yourself. About wishes. About dreams (of the moon as cheese). About what it means to be human.